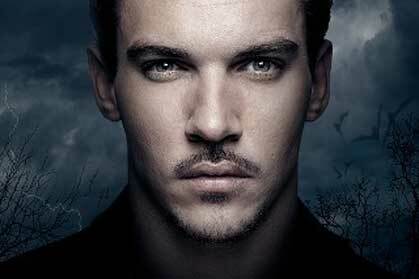 Jonathan Rhys Meyers: Know his Story! It bothers me to the extend of vomiting, or in the worst case scenario, to the extend that I want to kick someone in the face, when people write about Jonathan Rhys Meyers. It seems, no news is good news for them, unless they catch him with a bottle of vodka in his hands. Turns out the actor has been seen in London two days ago buying alcohol, while wearing what would appear as ‘normal clothes’. If they saw another person in broad daylight drinking in the street, it would have been al-right. But if it’s Jonathan, then it’s wrong. First and foremost, famous actors, are normal people like us; they can make mistakes and fall off the wagon. Secondly, the media is not helping him get any better by pointing fingers at him. Jonathan happens to be my all-time favourite actor. He’s talented, he can sing, and he can act. His accent is to die for. But what also really amused me is what has led him into becoming who he is. I would think, most of you wouldn’t even know what he went through growing up. I’d start by telling you, that his surname was O’Keeffe but when his parents separated, he took his mother’s maiden name. They moved from Dublin to Cork were they lived in poverty at one of the council flats. His mother Mary, drank most of her money away, and Jonathan used to steal from her dole money to make sure that he and his brother had something to eat at the end of the day. He later lived with another family, until he was spotted by a modelling agency. This is what led him to the career he’s most known for now. When he made enough money, he bought a bungalow in Cork for his mother. This is what stole my heart. No matter what he went through in his childhood, he went back to his roots; to his mother, and tried to give her a better life; to save her. Almost 10 years ago, his adoptive father; his saviour; was convicted of abusing a homeless boy and sent to prison. Soon after his mother passed away. I think all that has happened to him in his life, has made him what he is; his personality is extreme and compulsive. He works a lot, he trains a lot, he drinks a lot. There’s no in between, no normal for him. Just like he went from poverty to riches. My point is, don’t judge a person without knowing their story. Help out while you can. If I had a way to reach out to him I would, but I am just one of his many fans. A nobody.